The Greater Lake Superior Foundation (GLSF) is a not-for-profit private foundation dedicated to the preservation of Lake Superior's coldwater fisheries. It seeks to influence environmental policy, and to promote conservation by providing a source of funding for projects and research by institutions, other non-governmental organizations and state and provincial DNR's. Our foundation was recently featured in articles in the St. Paul Pioneer Press Coaster Brook Trout Gaining Advocates and Ontario Out of Doors For The Love of Coaster Brook Trout. One of our Board members, Sharon Moen of MN SeaGrant also presented on the topic of coasters at the 2018 Charr International Symposium held in Duluth in June of 2018. Her presentation can be viewed here: Hooked on Coasters. To protect and enhance the coldwater resource and sport fisheries of Lake Superior and its tributaries through education, advocacy and research. 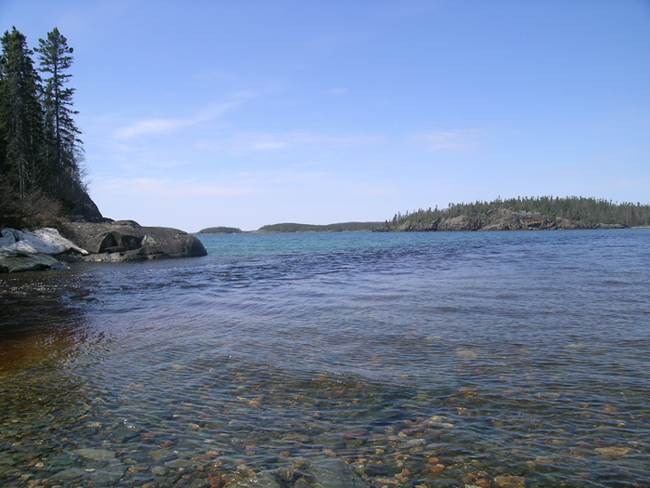 The GLSF seeks to influence water quality, watershed management policies, and other activities that impact Lake Superior, its tributaries and its coldwater fisheries; including mining, riparian development, aquaculture, and invasive species. We support research into issues related to our mission by funding through our Grant Program. Through our website, we seek to educate the public on issues facing Lake Superior and its coldwater fisheries. Through the sale of our Coaster Brook Trout Research Unit merchandise, and other fundraising activities, we provide funding for our grant program and raise awareness of the Lake Superior coldwater resource. The GLSF advocates for a sustainable sport fishery, managed by the best fisheries science and practices. These fisheries include both native fish, such as lake trout and coaster brook trout and naturalized species including steelhead and brown trout. We promote a lake ecosystem with a balanced predator to prey relationship. We support stocking when used as a tool to rehabilitate depleted stocks. We do not support stocking for the purposes of a put and take fishery in Lake Superior. The Greater Lake Superior Foundation was founded in 1991 and is registered as a 501 (c) 3 private foundation with the IRS and a charitable trust with the Secretary of State, State of Minnesota. It is governed by a five member Board of Directors, with no at-large membership. The Foundation has an endowment that is managed with the objective of providing a perpetual source of funding for habitat projects and fisheries research. Copies of our Form 1023 and 990-PF are available for public inspection at our office.